#MoviesMusicPlaysFilmFestivalsConcerts: News: TFC Audition Caravan 2015 on April 12! Do you have what it takes to become the next Filipino television superstar? 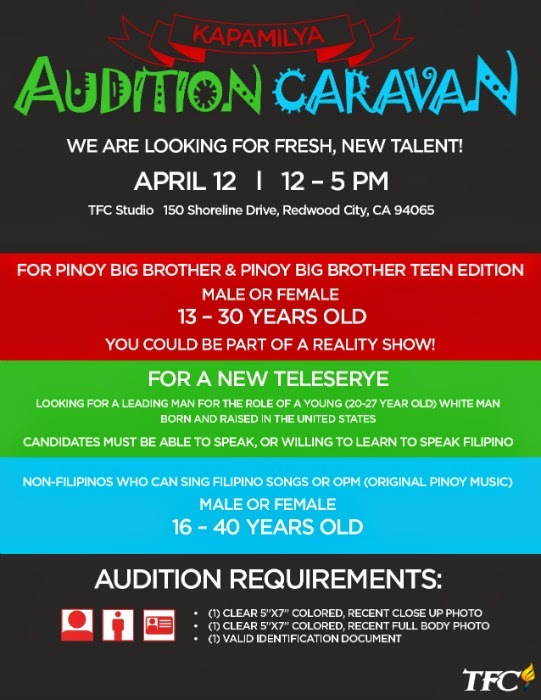 Join the TFC Kapamilya Audition Caravan for Pinoy Big Brother and Pinoy Big Brother Teen Edition on April 12, Sunday, 12-5pm at the TFC Studio!